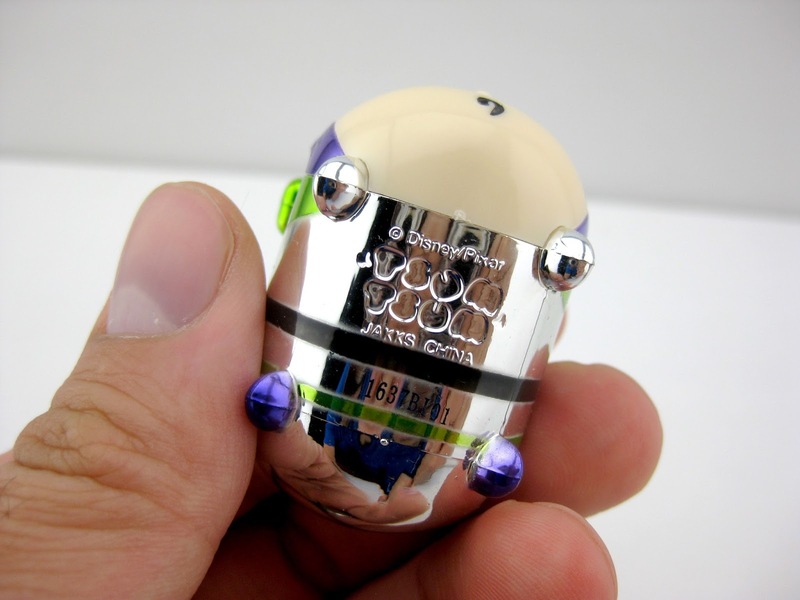 Straight from this year's D23 Expo in Anaheim, CA, here we have this spacetacular "Metallic Finish" Buzz Lightyear Tsum Tsum from Jakks Pacific Toys! This was an exclusive to the expo a few weeks back and was only available at the Jakks Pacific booth on the main show floor. 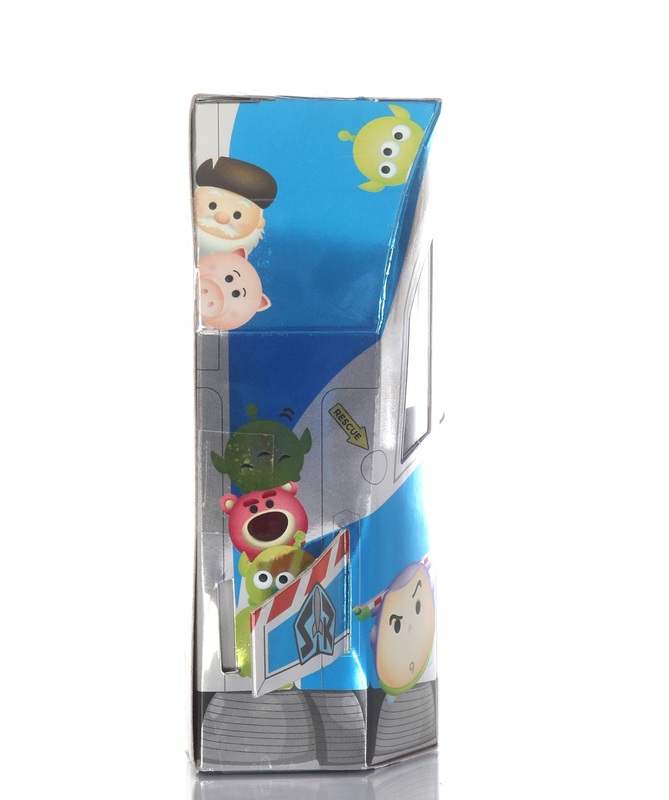 This Buzz is part of Jakks's popular Disney mini vinyl stacking Tsum Tsums collection; though rather than the typical soft vinyl they're usually made from, this one is more of a lightweight, straight up hard plastic material. If you're familiar with the different sizes of Tsums in this line, he would be classified as "large" (even so, he's only a couple inches big). 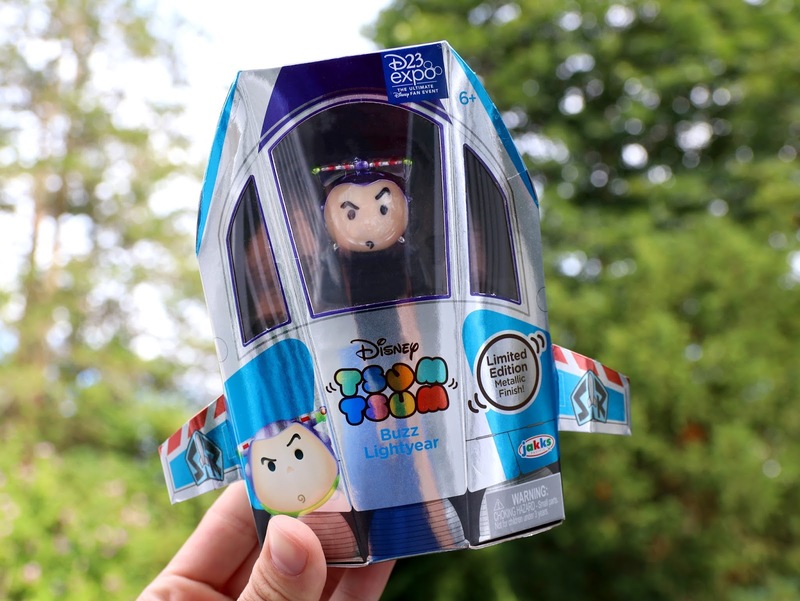 Though other similar Buzz Tsum Tsums have been released previously in this size, this is the first one with a sleek metallic finish (which is actually really neat in person). 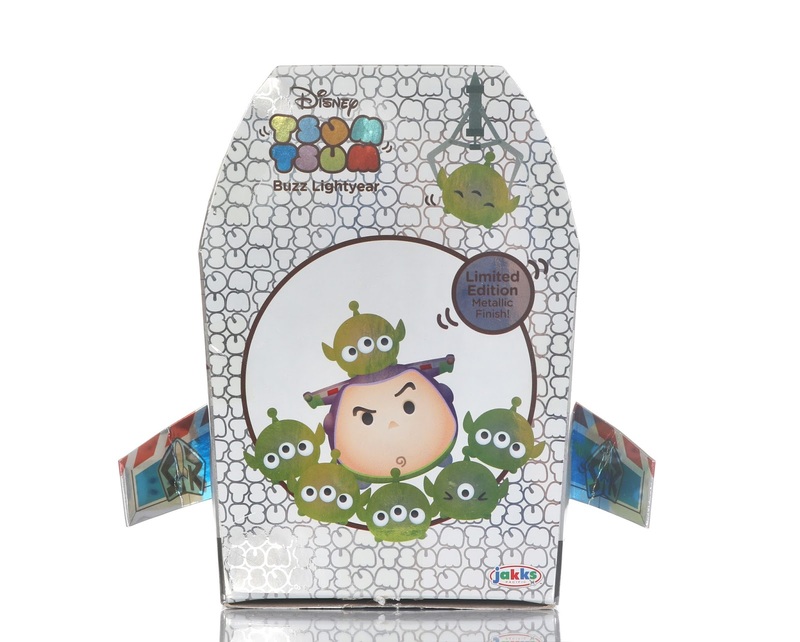 But what might be even cooler than the Tsum himself is his metallic packaging modeled after Buzz's iconic spaceship box from Toy Story! How cool is that right? 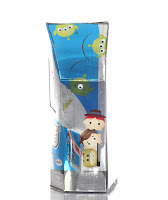 The packaging is what really sold me on this exclusive (note: the box itself measures right around 7" tall). This figure is labeled as a "Limited Edition", but I'm not sure how many pieces it's actually limited to. It doesn't seem to be a numbered LE, but my guess would be about 2,000 units since it doesn't seem to be very rare. Original retail price at the expo was $15. 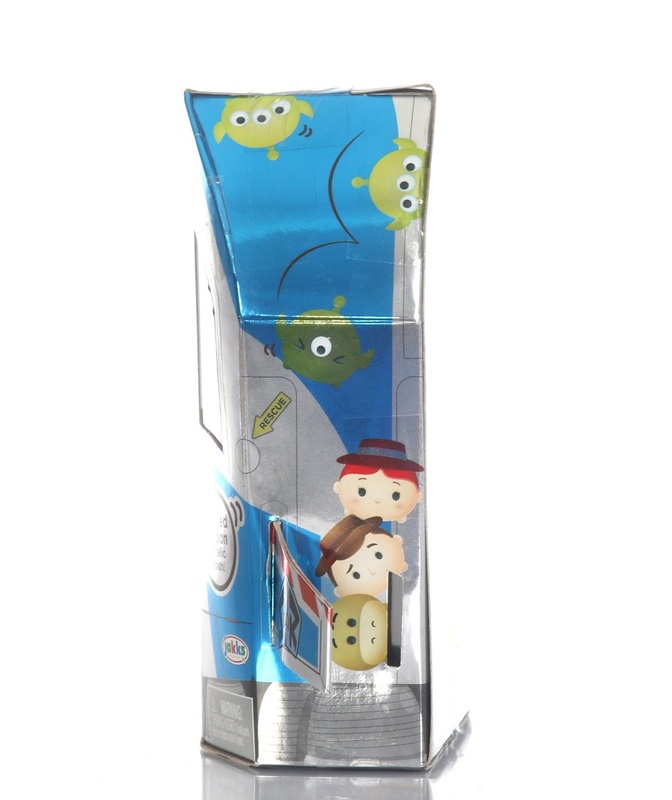 Take a closer look at him out of the package below! Tons of fun. Great collector's piece. 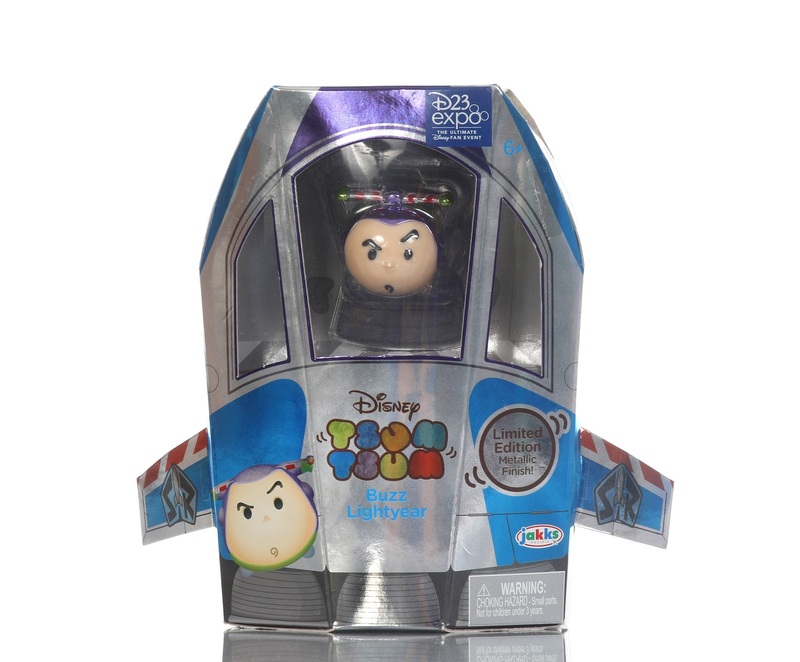 This is the third convention exclusive "Metallic Finish" Tsum Tsum release, following last year's Baymax and Captain America (both exclusive to SDCC 2016). Later this fall, a fourth will be released: a metallic Marvel Black Panther Tsum, which will only be available at NYCC 2017. Last but most certainly not least, a huge thanks to my friend Paulina ("HeartDisney" on Instagram & Twitter) who hooked me up with this as a surprise since I couldn't make it to the actual expo this year. That was super thoughtful and I appreciate it to infinity and beyond! 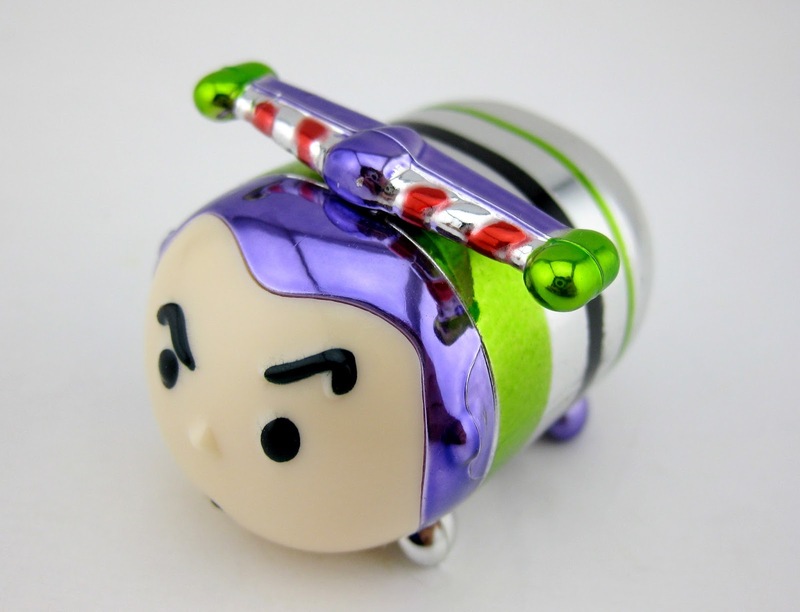 If you're interested in adding this Buzz Lightyear to your Tsum Tsum collection, be sure to check out this direct link to current eBay listings. Let me know your thoughts and/or any question you might have. I love hearin' from you guys!